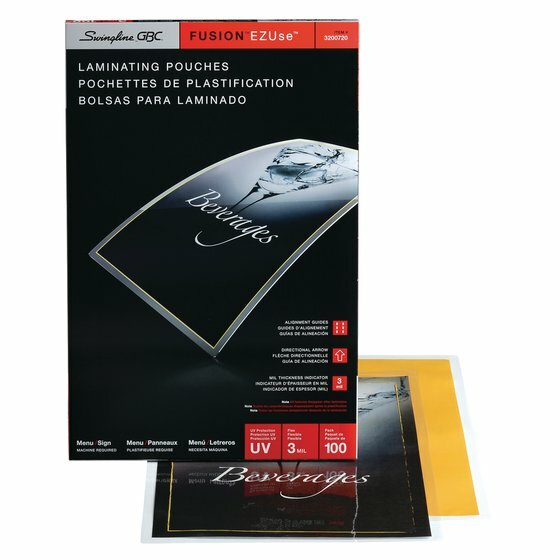 Three EZUse™ features on these thermal laminating pouches simplify the lamination process to quickly and easily deliver a high quality output. 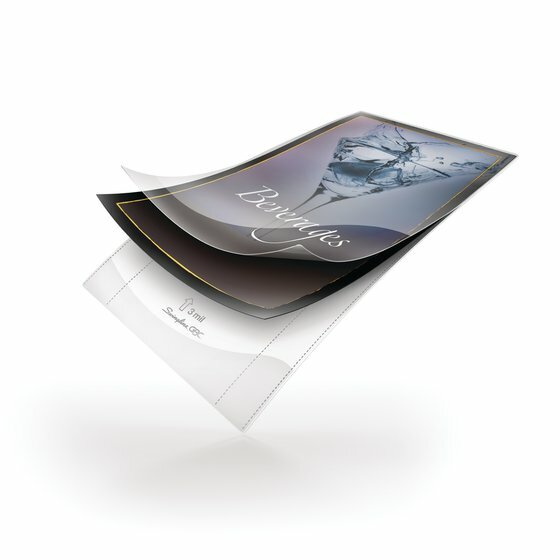 Stop replacing menus as often by laminating them. 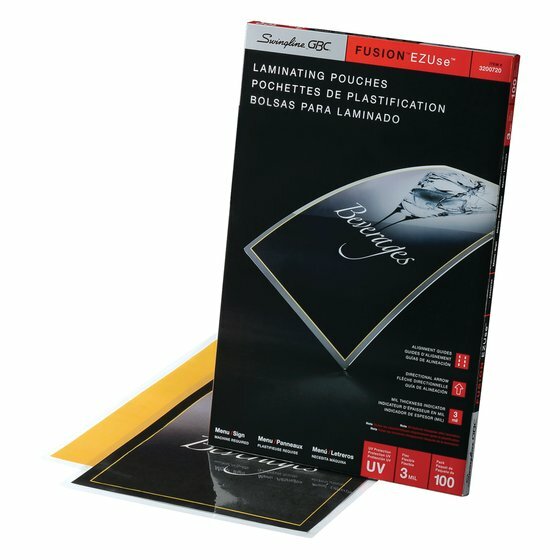 The durable and easy to use lamination pouch provides a protective clear, glossy finish and will allow your menus to be easily wiped clean.